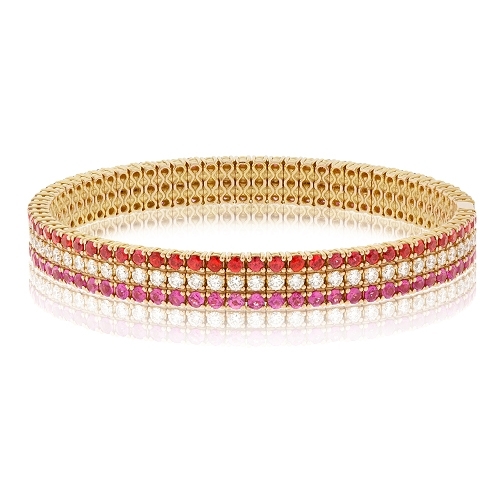 Designer Zydo Bangle set with 3 rows: Diamonds, Orange Sapphires & Pink Sapphires all mounted in 18k rose gold. Diamonds approx. 2.44ct.